While the guitar cable is a seemingly simple component, it’s one of the most essential, dissected, and discussed components of a guitar rig. One of the reasons behind this is the fact that guitar cable can really enhance your experience. Although guitar cable won’t necessarily make you sound better, bad ones will make you sound bad. 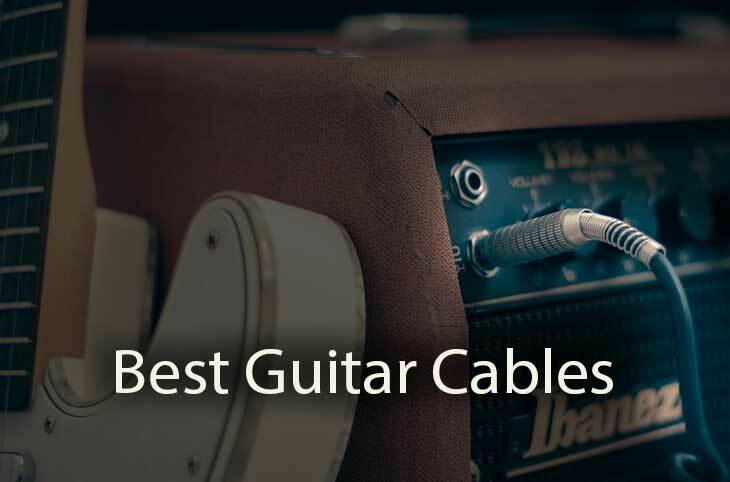 Bad guitar cables can not only make you sound bad, but they can cut off your audio totally, or even result in an uninspiring or even awkward experience, which can really get to your nerve. If you want to avoid this, then you will need to get the best guitar cables you can find. In this article, we have put together the best instrument and guitar cable you can find in the market today. We also cover a wide price range, so that you can find one that suits your budget and your preference. All else held constant, the shorter the distance a guitar signal travels, the better the signal transparency, mainly because it prevents high-frequency loss. In short, the goal is to find the shortest cable possible, so that you get low capacitance without limiting your stage movement. This will also prevent the possible tangling, and reduce cable clutter. The purer the conductor, the more transparent the transfer of signal becomes. Oxygen Free Copper wires have a purer form of copper, and many manufacturers prefer to use these. Others use silver, which is more conductive than copper, but also more expensive and rather impractical with most guitars. Most problems with guitar cables happen at the part where the cable meets the plug. This often highlights the true colors of most low-quality cables. Most premium cables come with better soldering, and some even use solderless joints. Ensure that the cable has a strain relief mechanism in place, as is stops sudden pulls such as when you trip over the cable, as well as improper bending at the joint. It’s also useful if the cable has high serviceability so that you can repair breakage and do other adjustments by yourself. This is used to block out interference from the cable. Foil shielding is usually the cheapest option, but it breaks easily and provides the least protection. Most of the cables we have listed below have braid shielding, which has a much higher strength and flexibility when it comes to shielding against Electromagnetic (EM) and Radio Frequency (RF) interference. 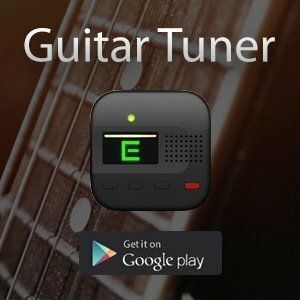 The instrument you’re using will determine whether you need a straight or angled plug. Straight plugs can work with most amps, guitars, and pedals, though they can be intrusive and easy to bend or hit accidentally. Angled plugs have a more discreet cable positioning, and are generally ideal for top-mounted output jacks. This guitar cable offers one of the most incredible designs possible. It combines every quality component out there to create a very capable and durable piece of instrument cable. The connectors are custom made units that use 24k gold-plated contacts. The connectors are also soldered on to the cable in such a way that significantly reduces the risk of breaking the connection at this point. The cable is essentially a solid center core conductor, wrapped in a polymer insulation that’s backed by thick braiding. The two layers offer protection not only from physical damage, but also reduce the impact of interference from the signal. nonetheless, it’s not the cheapest cable out there, but you will definitely be getting value for your money. Since a majority of hobbyist guitarist prefer inexpensive but reliable cables, Planet Waves fits this criterion perfectly and has received the most recommendations online. Planet Waves has a number of models of these cables but the models we’d recommend are the Planet Waves Circuit Breaker and Planet Waves America Stage. These two are also within $5 of each other price wise. Both use the Neutrik (high-quality) plugs, which is amazing for a guitar cable coming at such a price. They also have a patented Geo-Tip, which ideally produces a satisfying click when you are inserting the cable to let you know it’s securely locked. For most guitarists who want a clean sounding, reliable, and inexpensive instrument cables, these are your best bet. 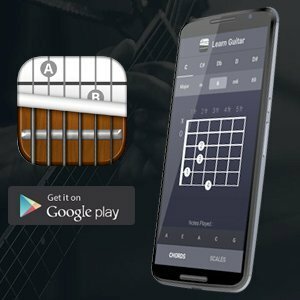 Although the name might not be familiar to all, Hosa tech has decades of presence in the audio equipment industry, and their experience has enabled them to produce affordable and top-rated instruments like the Hosa GTR. The 24 AWG cabling comes with traditional designs that ideally make maintenance convenient and much easier than most models. It also comes with Oxygen Free copper wiring, all metal plugs, and 90% OFC braided shield. Their reliability and solid build set them apart from other similarly priced and configured cables in their segment. Mogami really knows their way around high-end music cables. The Mogami Gold is just one step below their top-of-the-line Platinum edition, but we think this instrument cable has a much higher value than the platinum edition, considering it’s more affordable but offers more or less the same performance. Stranded copper is used for the core on the Gold line, with a conductive polymer sub-shield that is surrounded by a high-density copper shield. To make the cable more flexible and durable, Mogami used varying strain relief techniques. Throughout the range, the cable has an incredible clarity and detail, with excellent midrange and highs.